It can be notoriously hard to get great brands in Dubai and I recently discovered a new hidden gem of a website in thebbcreamgirl.com which stocks some of the best Korean make up and skincare brands including Skin 79, Etude House and Missha. There is no doubt about the massive explosion of BB creams onto the beauty market in the past 3 years. BB creams basically offer an all in one solution of primer, sunscreen, foundation and moisturiser in just one tube-and Korea is the Queen of the BB cream. I have always shied away from BB creams, preferring a heavier more matte coverage for the office, but at the weekend I tend to stick to a tinted moisturiser or light coverage foundation. I was sent this lovely sample box of BB creams from thebbcreamgirl.com which gave me the opportunity to sample some of the Skin 79 brand. I've been pleasantly surprised. When I squeezed them out onto my arm I was worried that the colour was too dark and almost too grey toned for me but actually the balms just melt into the skin, adjusting to your skintone and providing a seamless finish. The finish is dewy as expected but not greasy and the BB creams do a great job at subtly evening out the skintone and reducing redness. I just found my complexion looked fresh. 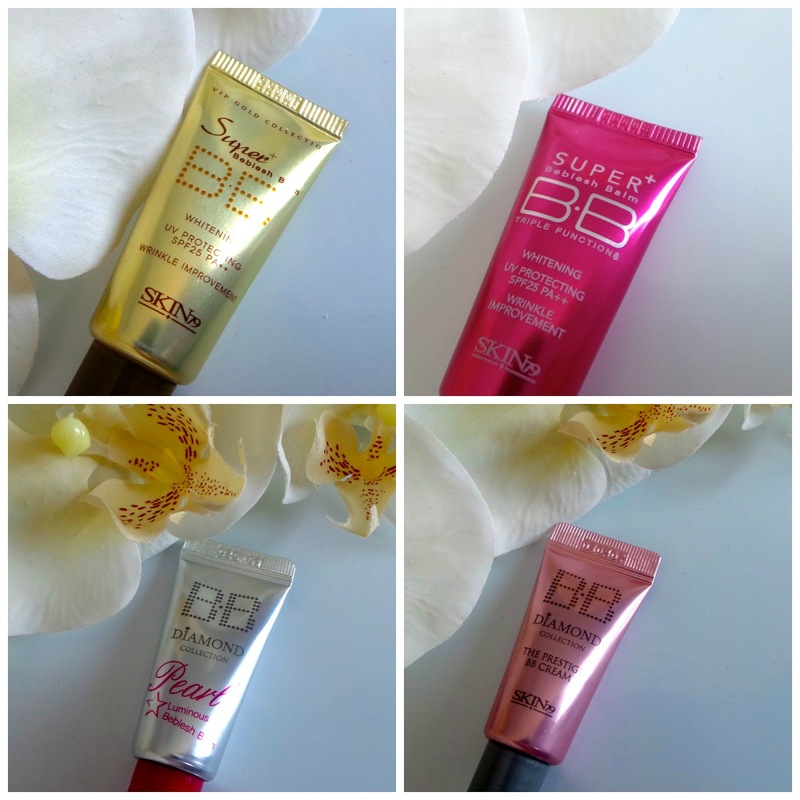 My favourite of the 4 is the BB Diamond Collection which offered a surprising amount of coverage. The 'pearl' version is too shimmery for me but I have found it makes the prettiest cream highlighter on the top of your cheekbones. 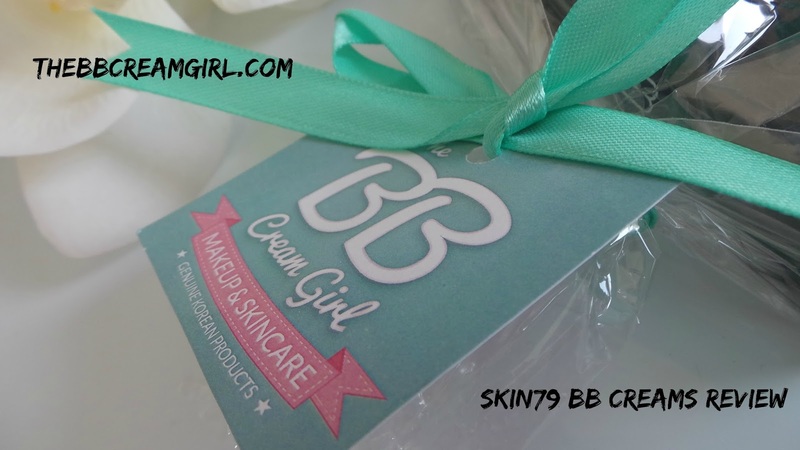 thebbcreamgirl.com is a brilliant website-easy to navigate and full of info about the brands and products. They offer delivery all about the UAE and you can find thebbcreamgirl on twitter too. Have you tried any Korean make up brands before? You're welcome-let me know if you do! These sound nice to try! I have used the Dr. Jart Black label bb cream and I loved it so much that I used it up! Sometimes I like to mix a bb cream in with my full coverage foundations to get a better color match and finish. I love the sound of this website! I've been buying a few Korean bits from eBay recently, but would love a shop like this that shipped to the UK, although it's always hard to determine whether things are the right shades etc online. Glad you really enjoyed these! I love trying new foundations/bbs but I don't want to buy full sized ones so sets like these are awesome! I can imagine that pearl shade being the prettiest highlighter too! I've never tried any Korean makeup brands but am looking for something of this type of coverage. May check it out, thankyou!